To cure any disease, it is important to perform a precise diagnosis. Ultrasound of the cervical spine allows to identify serious pathology in the early stages. Is it worth it to explore using ultrasound musculoskeletal system, and that you can identify with this diagnosis? Often, problems with the spine has its origins from childhood, when the problem has not been given attention. That’s why at the very first symptoms indicating the development of orthopedic pathology, it is important to consult a specialist and undergo the study. The risk group also includes the elderly. In some cases, it is necessary to consult a doctor? Ultrasound of the cervical spine is a popular diagnosis which has a high information content and speed. Let’s consider more in detail the advantages of the ultrasound examination. environmentally friendly (no radiation exposure). The study allows to diagnose cartilage, soft tissue, and fluid between the joints. Using the diagnostics will be given full information about the wear and tear of the intervertebral disc. 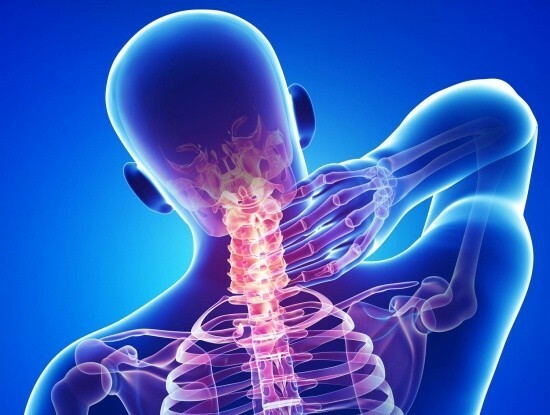 In addition, sometimes the etiology of vertebral pain is such that any manipulation of the spine is not only ineffective, but even harmful, so ultrasound is a good solution even in such situations. The study can be useful when the spine took a chronic form or as a control over the dynamics of development. Diagnosis does not require any special training. The patient can just lie or sit. The procedure is easy to implement and won’t take more than 20 minutes. It is better not to bring mobile phone or turn it off during Troubleshooting. During the study the patient can talk to the doctor. Such communication may even improve the quality of research, as the specialist learns more information. The procedure can be performed even for the diagnosis of newborn children that helps to identify various disorders (birth trauma, torticollis and its etiology). In children one year and older, the survey conducted in order to determine the severity of injuries, and to diagnose the lesion of the intervertebral discs and cartilage. 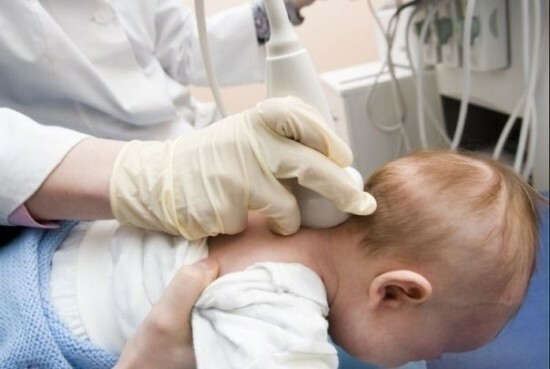 Ultrasound examination in children can be done to confirm and monitor tumors, developmental abnormalities, degenerative disc disease, herniation. Ultrasound for children is a highly efficient, rapid and safe diagnostic method! READ MRI of the small bowel: preparation, conduct, that will show? Normally, the results of the survey must not have any pathological changes. During protrusion the disc bulges to one centimeter, and if there is to be intervertebral hernia, the size of the protrusions exceeds one centimeter. 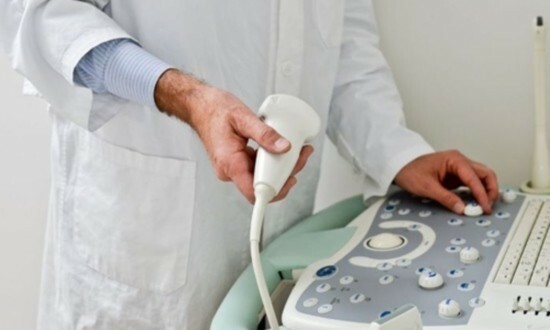 Clinics are modern ultrasound machines, which, combined with the professionalism of doctors, will not only help to make an accurate diagnosis, but also to achieve effective treatment. So, is it possible to combine the reliability, accuracy and security? Yes, if we are talking about the ultrasound!